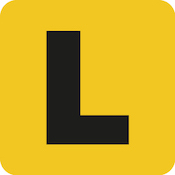 Once you've read Your Keys to Driving in Queensland and know the content, it's time to put your knowledge to the test! This practice test pulls random questions from their questions bank and simulates the real 30-question Written Road Rules Test. Remember, you need to get at least 9 out of 10 on give way rules and 18 out of 20 on general road rules. You can also use the QLD Driving Test sample question practice tests to target the areas for which the Department of Transport and Main Roads has included revision questions. Feel free to bookmark this page so you can practice right up until they call your name at the testing facility.